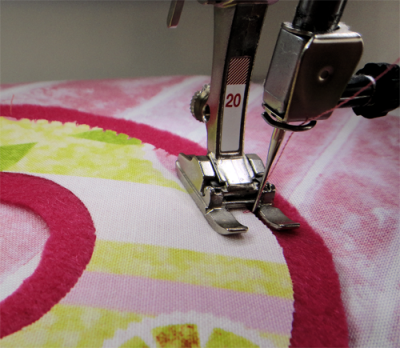 Learn to applique with a blanket stitch on your BERNINA - great for a wide variety of projects. Bring your machine and BERNINA Open Toe Applique Foot #20. These concepts will apply to all applique stitches and all brands are welcome! Includes supplies, bring your machine.